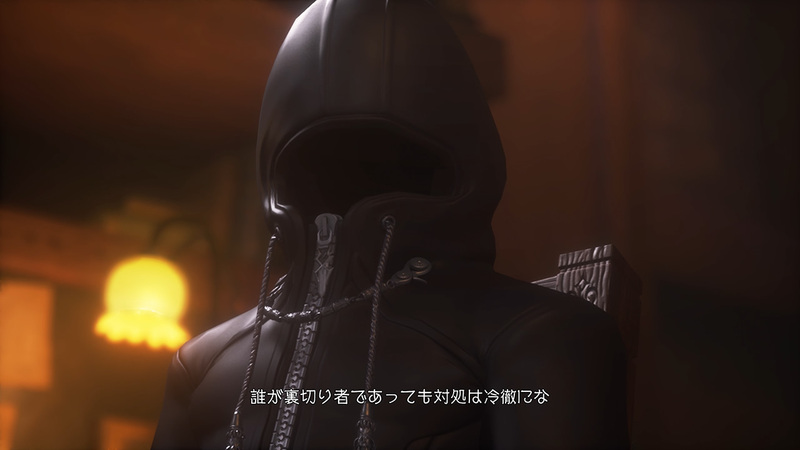 The official Japanese KINGDOM HEARTS HD 2.8 Final Chapter Prologue website has updated with 14 new screenshots from KINGDOM HEARTS Dream Drop Distance HD, KINGDOM HEARTS χ Back Cover, and KINGDOM HEARTS 0.2 Birth By Sleep -A fragmentary passage-. The website has also been updated with summaries of each title in the collection along with character biographies for the main cast. Thanks to Zephyr and Saken for the translations! By opening the seven sleeping keyholes, they can return back as true masters. 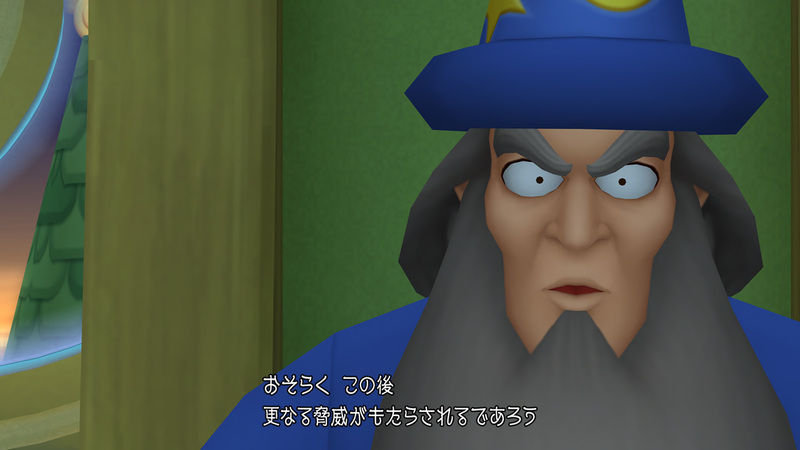 To prepare for a great threat in the future, Yen Sid decides to have Sora and Riku partake in the Mark of Mastery. 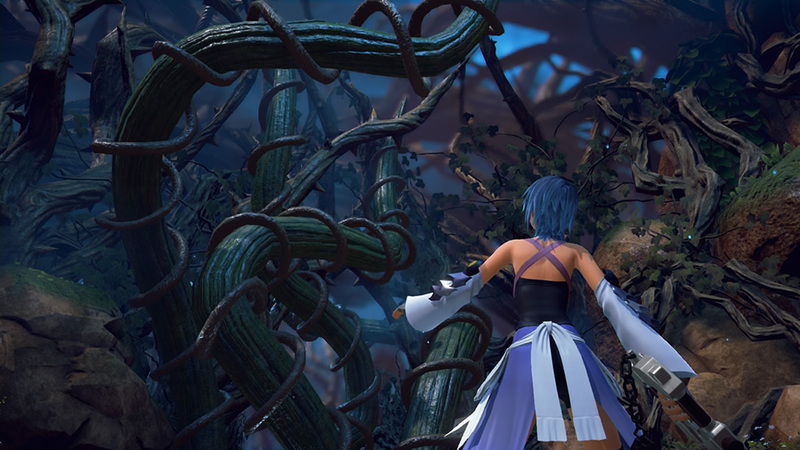 Sora and Riku will venture to seven sleeping worlds to open their hidden keyholes and gain new powers. The series’ protagonist. 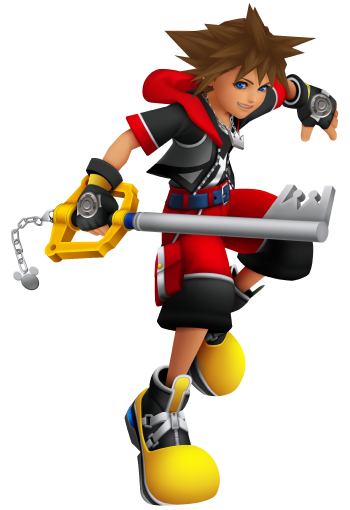 A young cheery and energetic boy who wields the Keyblade. 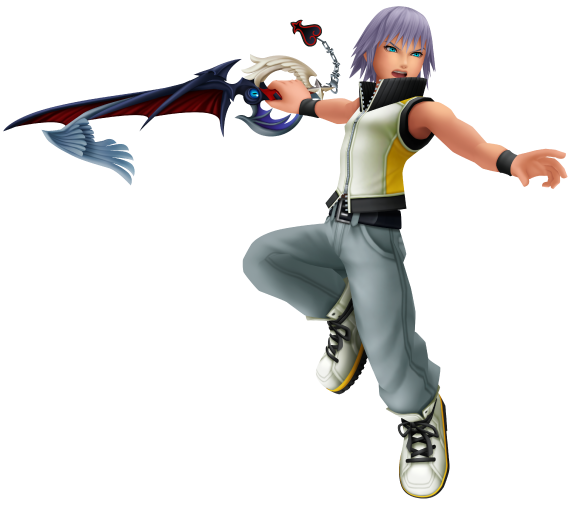 Together with his friend Riku, they aim to become Keyblade Masters as they travel to awaken the sleeping worlds. The series’ protagonist. 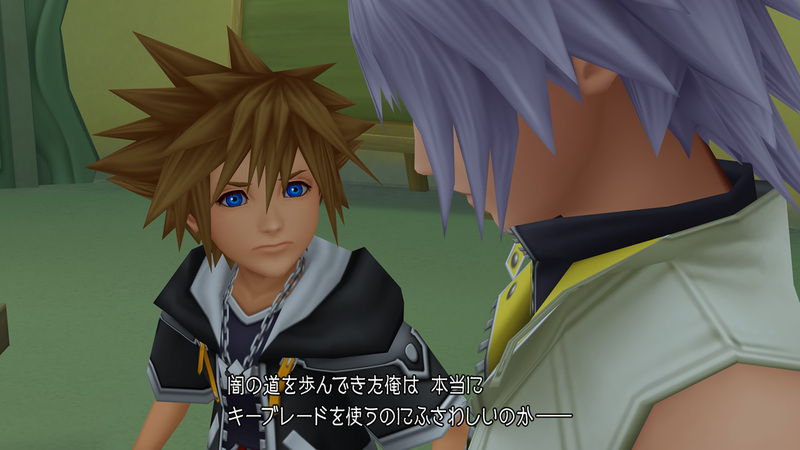 He cares for Sora and has a side where he can calmly observe situations. 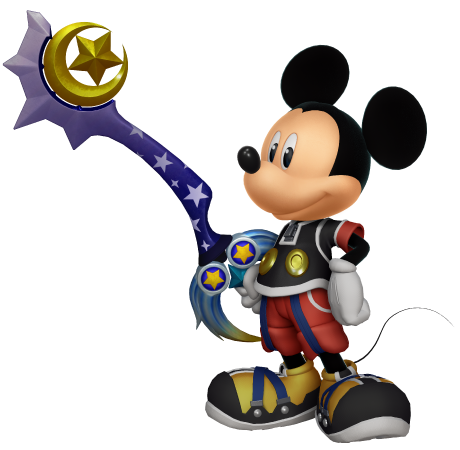 Together with Sora, they aim to become Keyblade Masters in a new adventure. From the sleeping worlds, there are creatures that eat dreams called ‘Dream Eaters’. 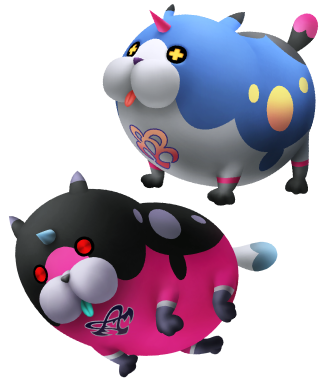 Within Dream Eaters, there are the friendly ‘Spirits’ and the ones that attack are the ‘Nightmares’. 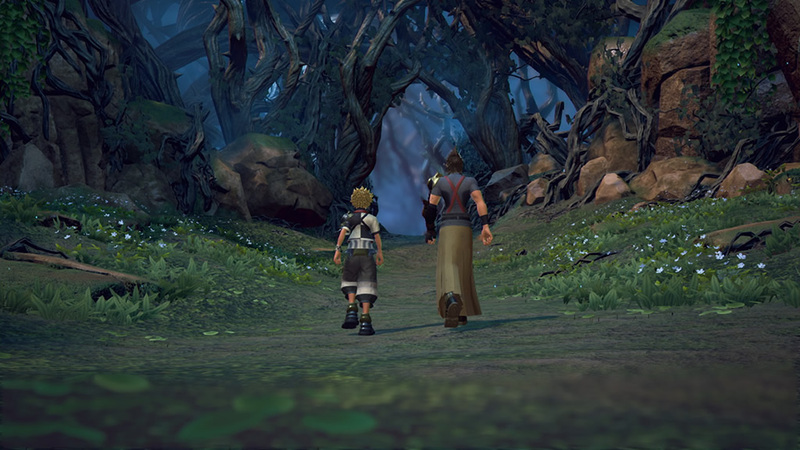 The Spirits help Sora and Riku on their journey. This world is full of light. A boy named Ephemer seeks out the truth of the Book of Prophecies. From the words of their master, it troubles the union leaders. The Foretellers’ master. No one can tell what his intentions are. Leader of Vulpes union. 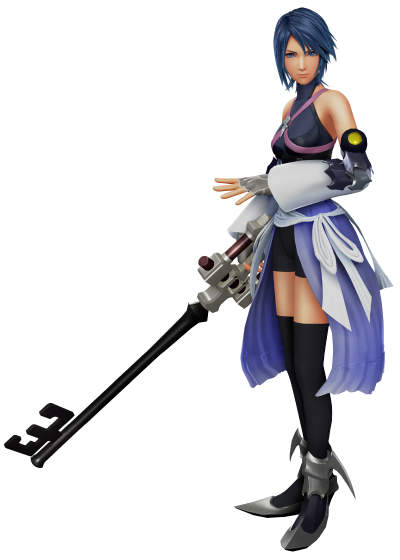 Because she is close to the age of her Keyblade wielders, it’s possible to communicate with her like a friend. Leader of the Ursus union. A fierce personality with a strong stature, he is obsessed with strength. For the basis of his own justice, he tends to put his feelings aside. Leader of Leopardus union. A cold personality that turns down companionship. However, this is just one side of his personality. Leader of the Anguis union. With a virtuous personality, she has great confidence in her master. Leader of the Unicornis union. A steady personality, he is often mocked by his master for being too serious. "If I turn back time..."
Disney Castle's King, and a Keyblade Master. He tells of the tale of his encounter with Aqua in the Realm of Darkness. Prayer circle for Skuld in Back Cover. 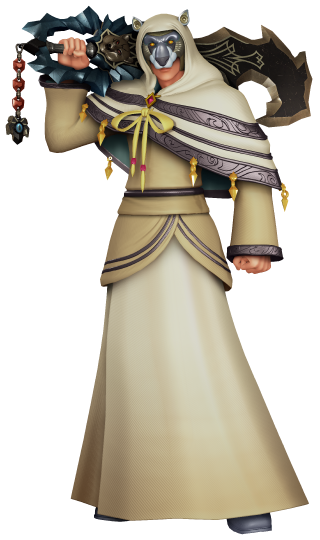 He's mentioned as a boy seeking the secret of the Foretellers' tomes, makes me wonder if BC is going to tell what exactly he was doing while he was off-screen in X/uX after ditching the player (and who that Mr. Coat he ran into was). The Foreteller bios don't appear to be too new, looks to be mainly the stuff about them from the Dengeki/Famitsu spreads from earlier. It's nice to see those screenshots in bigger size, though. no, the older one is the MoM and the younger is Luxu, the 6th foreteller. there is no feasible way to make ephemer either coaty. Nah, I don't tink so. Their voices are different as well. Checked the english site and it is down. Incoming update there too maybe? That's honestly what I am expecting as well. Back Cover is showing the side of the Foretellers in contrast to the viewpoint of "Player" in the Unchained/browser-game and Ephemer seems to have conducted quite some investigations on his own, not to mention that at some point Ava will nominate him deputy leader (and later full on leader) of the Dandelions. This hints at at least a few more appearances of Ephemer in Back Cover, furthemore since he is seeking the truth and the contents of the Tome of Prophecies the chance of him interacting with other Foretellers is not exactly zero despite Ava being "the easiest" to talk to and connect with. 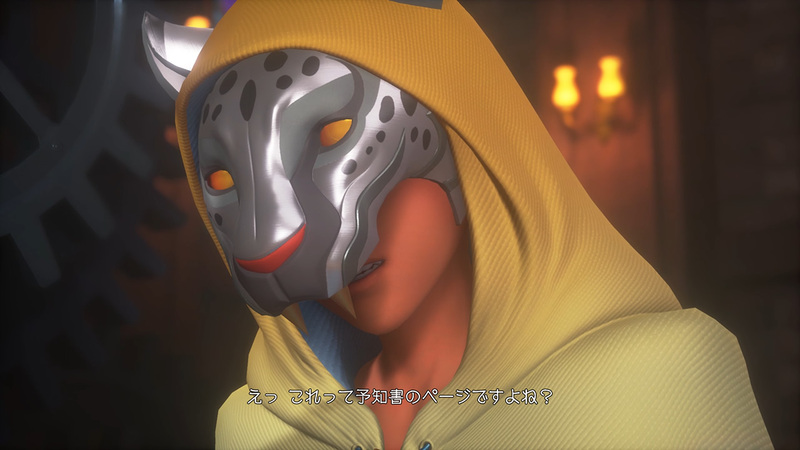 As for Skuld, depending on if the scene of Gula explaining some parts of the Lost page (and I am still intrigued from where he got that information!) is included, she might at least appear once in the movie. 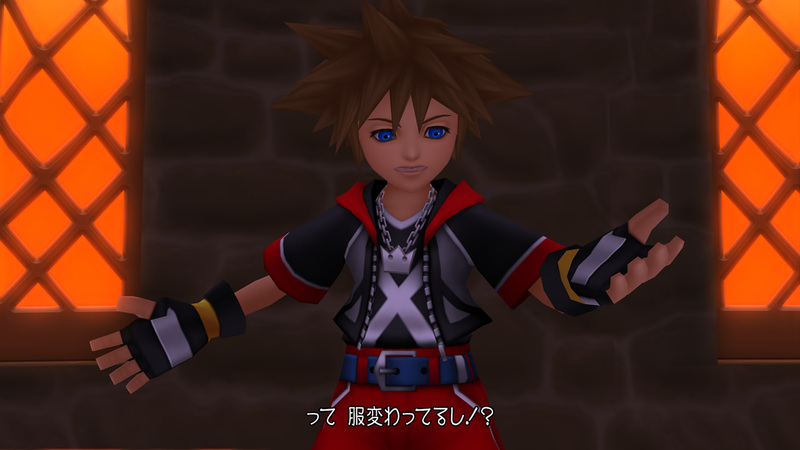 Otherwise though Skuld seems to have no real contact with the Foretellers and is mainly tied to the "Player"'s viewpoint which is not included in Back Cover. She comes in contact with Ava a few times doesn't she? 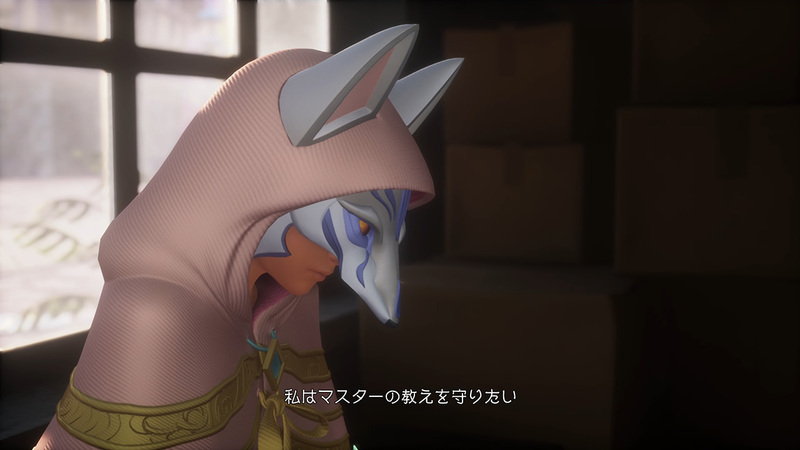 The fact that Ephemera starred in the first KHx BC trailer, and is now being referenced on the KHx BC synopsis, kinda softly confirms he'll have a prominent role in the movie. Albeit we haven't seen him for two trailers now, it's possible he'll be the behind-the-scenes character. 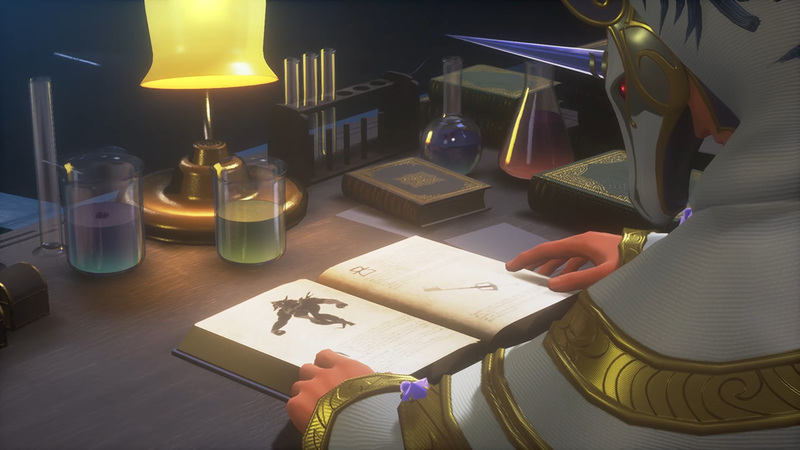 We knew in KHx that he was conducting his own investigations, so it's possible KHx BC will visually feature Ephemera conducting his research on the matter that will destroy the world. 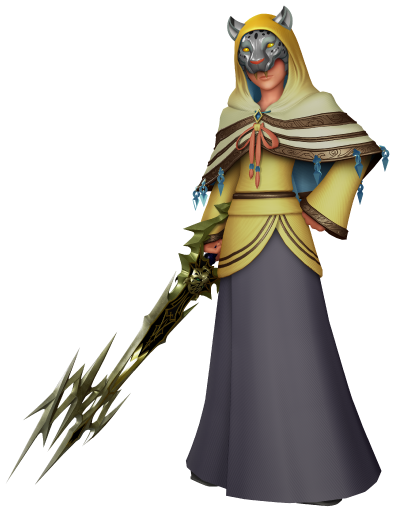 If anything, besides the MoM and Luxu, Ephemera will also be a character to transcend the KHx era. I think we'll see Skuld, even if it were for a couple of minutes. We do know that at some point Ava meets with the Dandelions and gives them instructions to run away from the war. 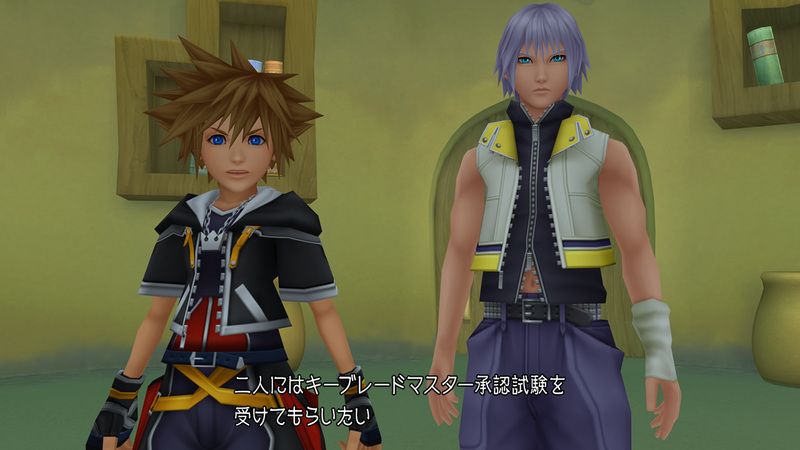 Seeing as how both Skuld and Ephemera are top Dandelion officers, we'll definitely see those two in that same scene. 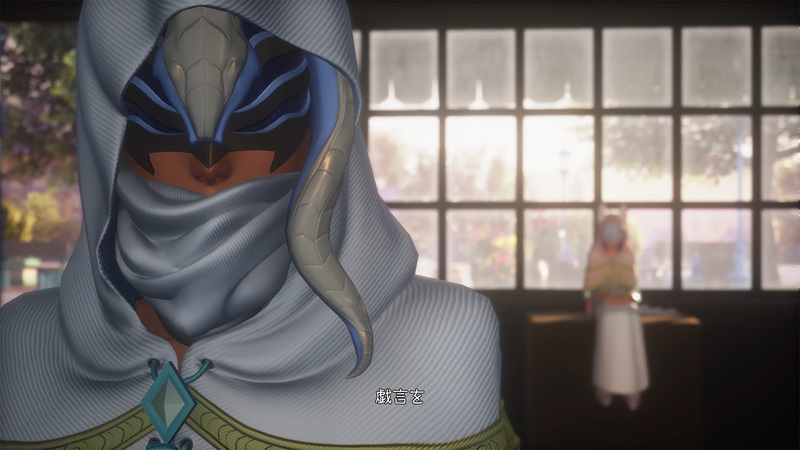 I think Ephemer will either ba a "cameo" to just aid us in understanding when a specific act takes place in the X/Ux timeline, or a surprise character at the end. I think the trailers are selling the five way too hard to then give Ephemer so much screentime during the whole thing. Remind me exactly which ones that were? On a whim I only remember the "secret test" and the great Dandelion-speech scene where she was standing among the other Dandelions listening. 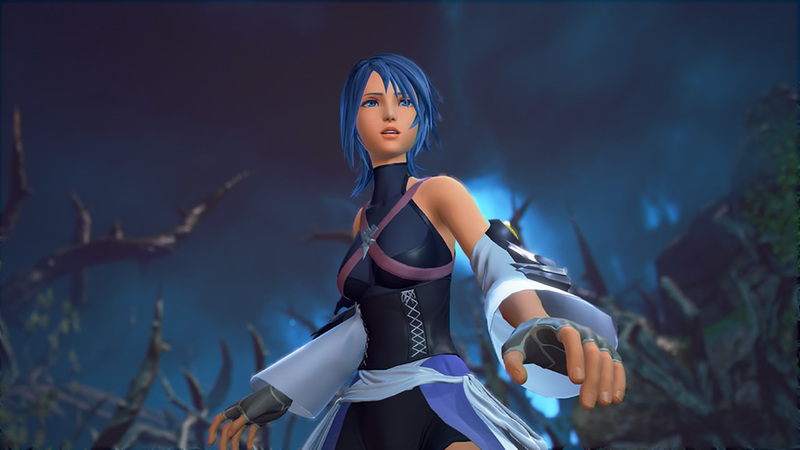 A cameo appearance is probably the most likely "role" Skuld will have considering how limited her actual interactions with the Foretellers beyond the secret test of Ava and the meeting with Gula are. Ephemer wasn't present in the Ava-Dandelion speech scene though and I also don't remember Skuld having an important/higher position among the Dandelions. Ephemer is the leader after Ava steps down, that's all we know. 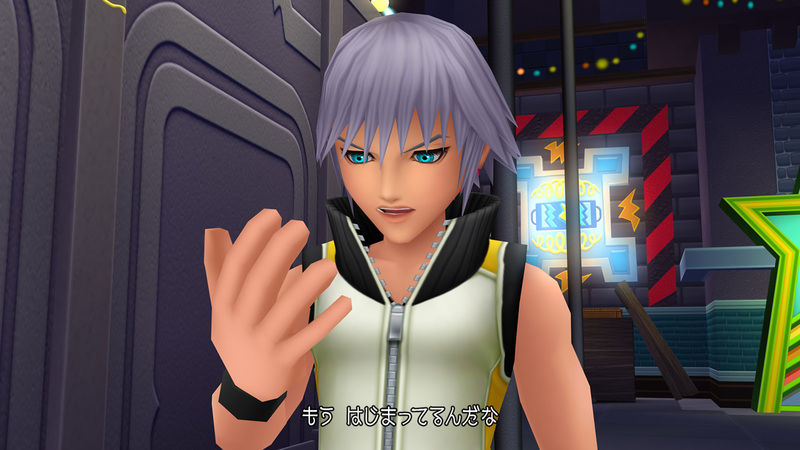 Skuld appearing together with Ephemer in the Browser-chi finale has more to do with Skuld's connection with the "player" character rather than being an indicator of her position within the hierachy of the Dandelions. 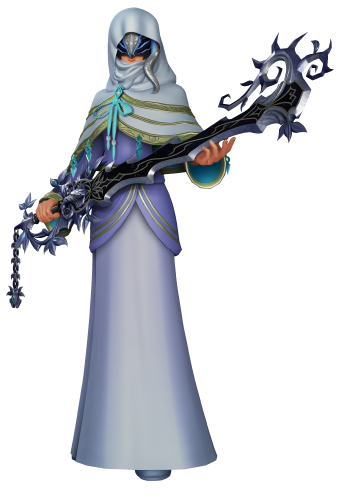 I assume more that Skuld will be the "cameo" if she appears at all. 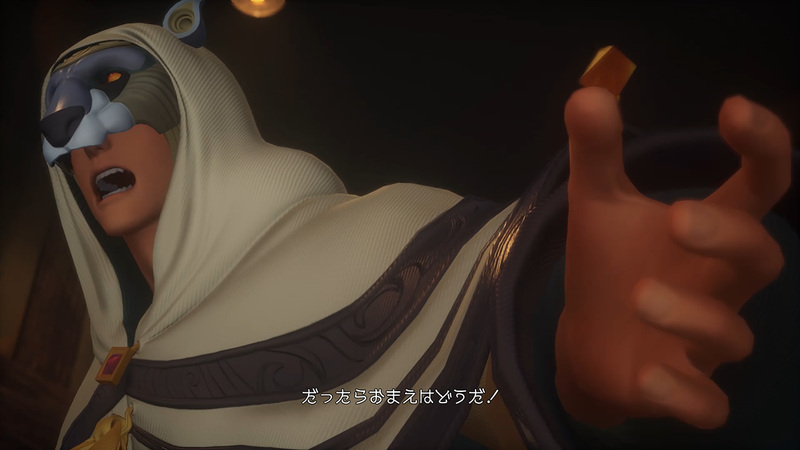 Ephemer will clearly not be a major/main character, but probably a support character that gets a little bit more screentime than just one or two short cameos, he was investigating things on his own, sticking his nose everywhere and mostly separated from the Player PoV after a certain point after all.